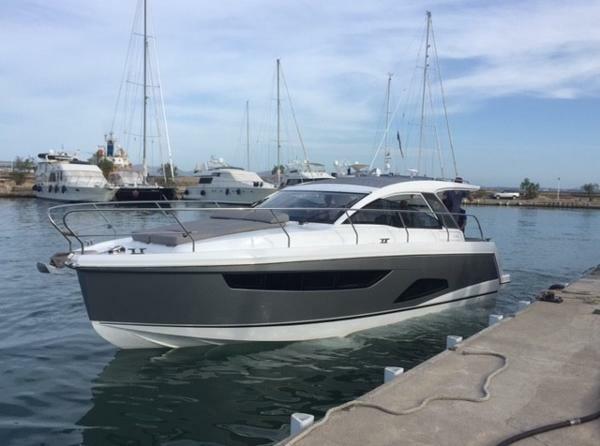 This award winner Sealine S330 is now up for sale, with only 170 engine hours and fully equipped, offers two cabin with best ceiling height in class as well as two opening roofs in cockpit. 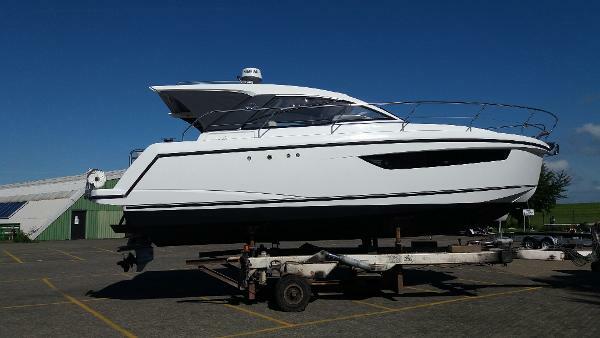 She's currently stored in our service centre in Can Picafort Esta premiada Sealine S330 está ahora disponible, con solo 170 horas de motor y totalmente equipada, ofrece dos cabinas con los techos más altos de su clase así como doble techo corredizo en bañera. Esta actualmente en nuestra nave de en Can Picafort. 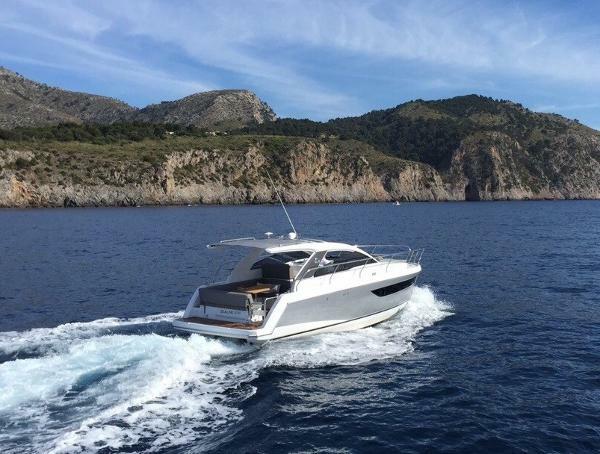 The award winning S330 offers a carefree convertible feeling at Sea. 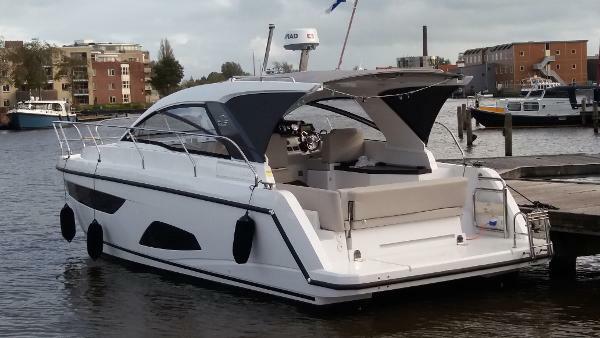 The hull provides excellent performance whilst giving light and space to the interior. 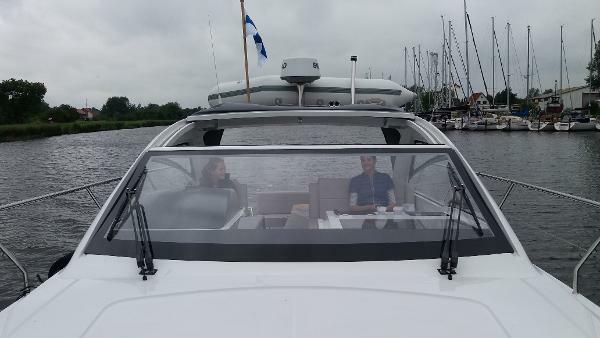 Completed with two opening roof sections giving maximum versatility, sun and shade where you need them.The ceiling height in the Saloon and cabins is unique to a boat of this class and provides ample space and light. Large Hull windows provide abundant natural light. 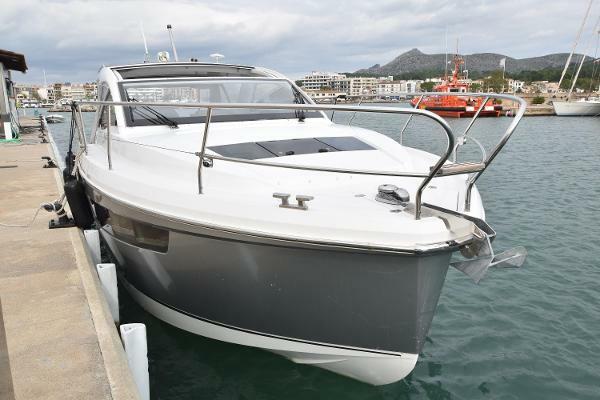 This S330 boasts a high quality finish and great attention to detail is evident from bow to stern. Fitted Specification includes : Heating - Eberspacher D4 Navigation: Simrad Touch Chart Plotter Simrad fixed VHF Simrad portable VHF External VHF antenna Simrad 4G radar External GPS antenna Radar overlay on the chart Trim tabs Mente Marine ACS Automatic Trim System Stainless steel anchor with rope and chain Electric Windlass Wireless remote control for the windlass Bow Thruster Sleipner SE80 (Stronger than what is normally fitted) Wireless remote control for the thruster Bathing Platform / Bathing ladder Hot water shower on the bathing platform Mosquito net for portholes Blinds for toilet window Hull protected against Osmosis with 6 layer epoxy and anti-fouling (4000 euro extra treatment). This boat has been prepared for lying in the water all year round.